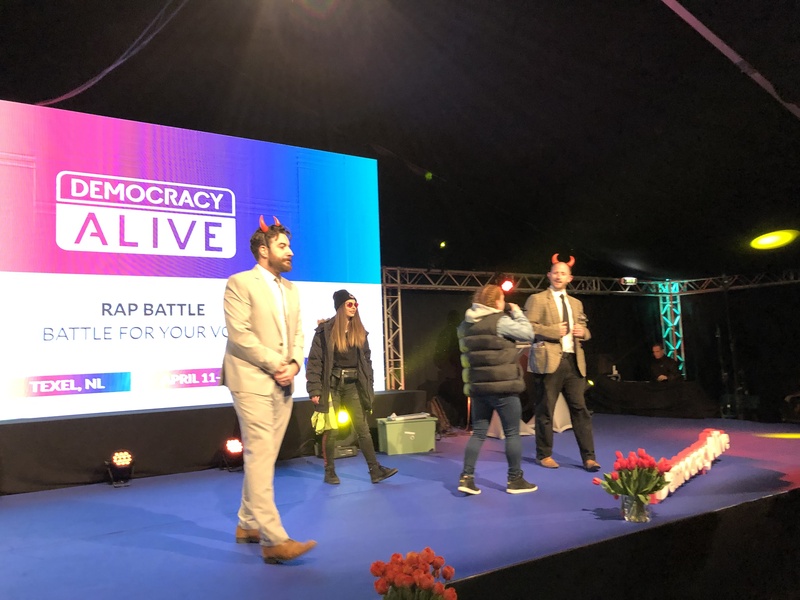 EU40’s “Rap Battle for Your Vote” in the Democracy Alive Festival, was a resounding success! With over 100 attendees, on the main stage of the Festival, a battle of wits and arguments took place, between a pro-European team vs a Populist nationalism team! 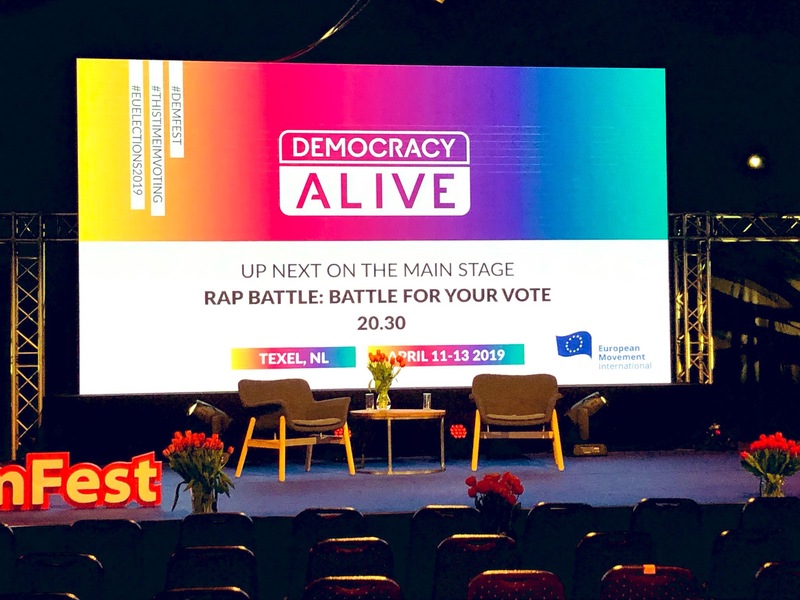 On Friday, 12th April 2019, four professional rappers recreated a political rap battle between Pro-Europeans and Eurosceptics. On one side, we had Boudica and Dekkay representing the Pro-European crowd and reminded all attendees why the European Union IS the project to support and transform into a strong union. On the other side, we had SoloCypher and Felman taking one for the team, and representing the populist Eurosceptics side of the coin, spreading fake news about Europe, and trying to deceive the crowd with their practiced lies and hateful speech. The pro-Europeans won by the acclamation of the public, and we hope the same win is seen in May, in the European Parliament Elections! It’s time to stand up for Europe.